Home > Special Offers > Service & Parts > Get Alloy Wheels for Your Golf R or Golf GTI (2015+)! Get Alloy Wheels for Your Golf R or Golf GTI (2015+)! 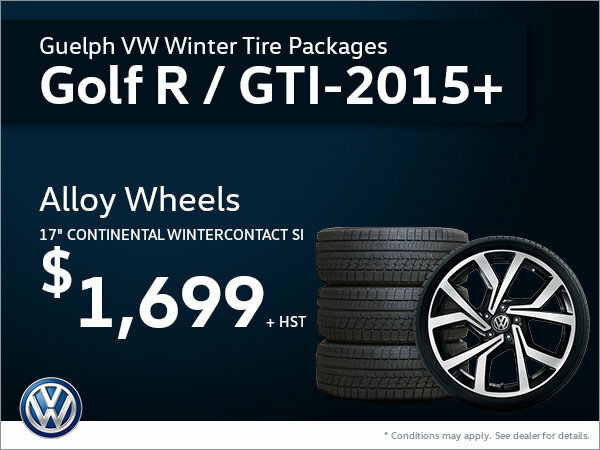 Get an Alloy Wheel Winter Tire Package at $1,699 for your Golf R or Golf GTI (2015 and later)! Nothing fits your vehicle like these 17" Continental Wintercontact SI tires!